In the mid 1960s the Argentine government issued a demand to the nations military aircraft producer, Fabrica Militar de Aviones (FMA), for a new combat aircraft suitable for the COIN, CAS and recce roles. On 20 August 1969 the initial prototype made its first flight. 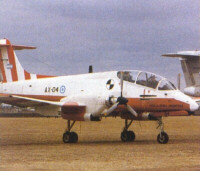 More prototypes were produced and on 8 November 1974 the first of 60 IA 58A production aircraft for the Argentinian Air Force made its maiden flight. In end 1975 deliveries began and Initial operational capability was achieved. Followed in the 1970s by a second production run of 48 more aircraft. 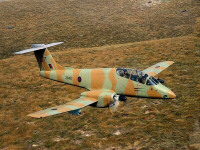 In 1982 the IA 58A PucarÃ¡ flew CAS missions during the Falkland Wars against the United Kingdom, but did not prove itself in that role. Its design to operate from rough fields with minimum ground support proved good. Although it achieved one air-to-air kill by shooting down a Westland Scout AH.1 light helicopter, many PucarÃ¡s were lost. About two third was lost on the ground, and a quarter were destroyed by ground fire, accidents and other causes. The remaining aircraft were captured when British forces captured the Island. In December 1989, Argentina delivered three PucarÃ¡s to Colombia on loan for use against drug manufacturers and smugglers. In the 1990s Argentina tried to market about 40 IA 58A aircraft, reportedly held in storage at that time, to countries in Africa, however no report of a sale occurred.